Prescription pain killers can be very effective at treating severe and chronic pain. However, since they have physically addictive properties, a person can easily become addicted to them if they are used in a way that is not prescribed. If you are wondering how to get off tramadol, a type of prescription pain killer, then the White Sands Treatment Centers can help you achieve your goal. The abuse of opioid-based pain killers is a widespread problem in American. 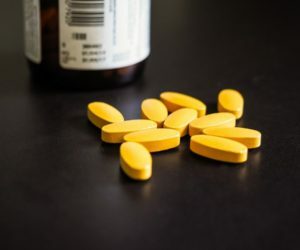 The American Society of Addiction Medicine (ASAM) showed that as many as 2 million people suffered from a substance use disorder that involved opioid pain killers in a study conducted in 2015. Tramadol detox programs are readily available to assist people through the withdrawal phase, followed by the subsequent therapeutic programs to help avoid relapse. Tramadol is a type of opioid analgesic that is often prescribed for the treatment of pain after surgery. It goes under the brand name of Ultram and is a safer version of methadone and hydrocodone (Lortab or Vicodin). Taken in a non-prescribed way, tramadol can produce a euphoric feeling similar to other opioids such as OxyContin. When an addiction to opioids forms, it can affect every part of a person’s life. It may also begin to affect the abuser’s loved ones, co-workers and friends. Eventually, it becomes a core ingredient of the person’s life and without it, the person struggles to cope with everyday life. If you or a loved one is wondering how to get off tramadol, then knowing that there is a problem is the first step to recovery. The tramadol withdrawal time varies depending on how long it was misused for and how much of the drug was frequently taken. Generally, the withdrawal timeline is as follows. After the first week, most of the early withdrawal symptoms will dissipate while symptoms such as insomnia, blurred vision and disorientation remain. Feelings of anxiety, depression and serotonin syndrome remain for up to two weeks. After three to four weeks, a person will usually still have depression, apathy, sleep disturbance and irritability. For those who want to know how to get off tramadol, a detox period is usually the first step. Most of the symptoms are not severe, but there can be complications if there are prior medical conditions present. It is advised to seek a medical tramadol detox whereby a person is supervised by professionals to ensure the easiest recovery. Various drugs such as Clonidine, Valium and acetaminophen can be given in prescribed amounts to ease the individual through the detox. Slowly reducing the amount of opioids until the person is ready to stop entirely is another method of detox, also administered by professionals. Ultimately, how to get off tramadol cannot be done with detox alone. It is a process that involves detox followed by therapy. Without therapy and various treatment programs such as the 12-step program, relapse is likely. Therapy and treatment programs are designed to teach the individual to cope with their stress and triggers in new, healthy ways. Relapse prevention is another important factor of the process for when the person is ready to stop therapy. A prescription pain killer addiction can be frustrating and difficult to deal with alone. Through the right kind of support and professional assistance and White Sands Treatment Centers, you or your loved one can begin your road to recovery.